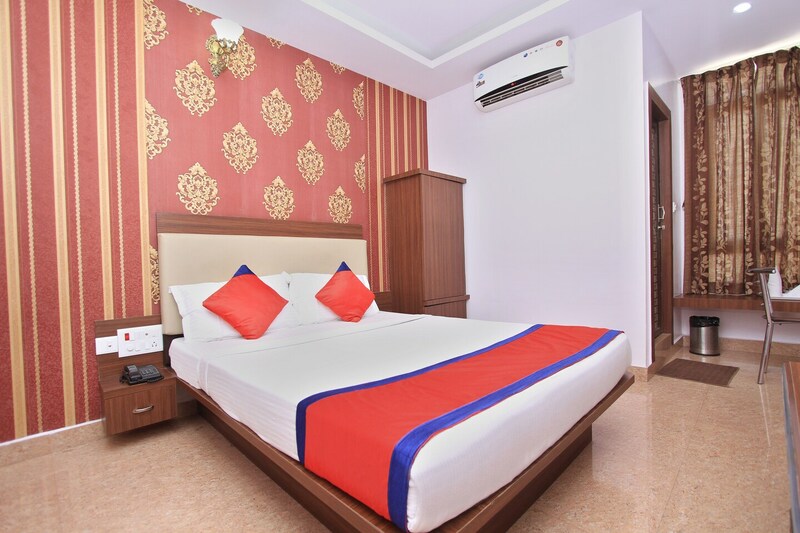 Located near Indira Gandhi Rashtriya Manav Sanghralaya, Hotel B S International promises the comforts of home in this simple and cosy property. The bright wallpapers in bedrooms add up to the charm along with contrasting colored furniture and curtains. The hotel has free Wi-Fi access, power back upand CCTV cameras to ensure the safety of guests. The property is located close to various popular tourist spots like Rail Museum and Mysore Palace. Restaurants and cafes can also be found nearby like Orchid - Fortune JP Palace and Purohit Restaurant. To make the stay comfortable, the hotel has a 24-hour helpdesk.